As I mentioned before, the movie wasn’t great (it took a flying left turn back into Heterosexuality-burg in the end), but it did, I think, provide me with more food for thought about how I wanted to approach my review of Rhonda Parrish’s anthology. As Sara Cleto and Brittany Warman point out in their introduction, the myth of the Sirens has become all-encompassing, with their images appearing in everything from Renaissance art to Starbucks cups. Interpretations of them vary, from traditional mermaids to winged and taloned harpies to monsters to temptresses, the only constants are two; they are female, and their power is in their song. And these seem to be the only parameters for Parrish’s anthology as well. The Sirens in here run the gamut from benign to malicious, monstrous to elegant, and the settings from the post-apocalyptic Pacific to cerulean fantasy oceans to the void of space. And this variety is possibly the anthology’s greatest strength; V. F. Lesann’s ‘Nautilus’ is probably the most liberal interpretation of the theme, with the “Sirens” taking a firm back seat to the story’s protagonist, a Farscape-esque sentient starship, but it’s also undoubtedly one of the most engaging and well-crafted stories in the collection. 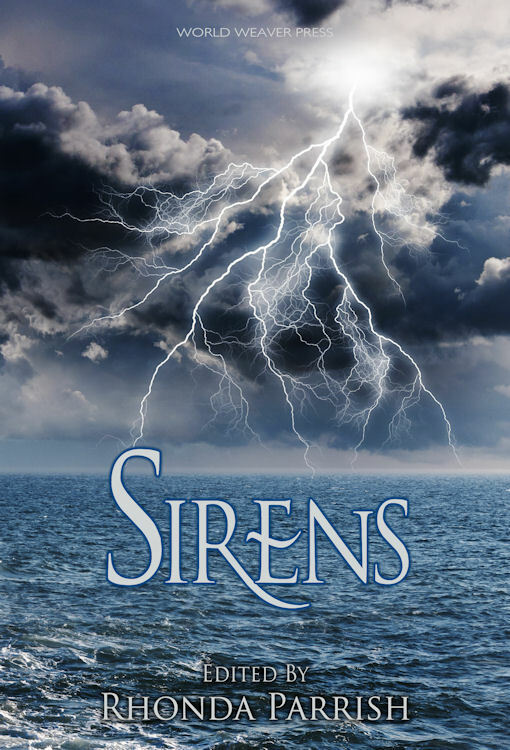 For many authors, the Sirens themselves are the heroines (or at least main characters). But these Sirens aren’t idly lounging on rocks waiting for passing ships; the heroine of Eliza Chan’s ‘One More Song’ makes her living as a PI, the sultry cruise ship singer of Sandra Wickam’s ‘Experience’ moonlights as a bounty hunter for the gods, and the hapless leading lady of Kelly Sandoval’s ‘Siren Seeking’ is just looking for a date. But make no mistake; there are monsters aplenty in these tales, from the mysterious woman in Michael Leonburger’s ‘Is This Seat Taken?’ to the ravening hordes of K. T. Ivanrest’s ‘Threshold’ to a hapless fisherman’s prey in the eerie ‘The Fisherman’s Catch’ by Adam L. Bealby. 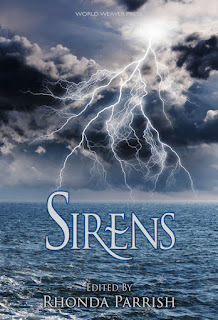 The literature major in me can’t help but notice that almost all of the stories in which the Sirens are the heroines (or at least more relatable) are by women, whereas the ones in which the Sirens are the naked monsters featured in myth are almost always by men, a fact I can hardly think of as coincidental. Which brings me to my next topic—monstrous temptresses have frequently been discussed with regard to their cultural roots in gender and sexuality. There’s been much speculation as to whether, for example, the song of the Sirens would have any effect on a gay man, or an asexual person, or a woman. I was delighted to see this addressed several times in Sirens, both directly and indirectly. In many of the tales, the Siren’s songs affect men, women, and children, without apparent regard to sexuality. In addition, the heroine of ‘Siren Seeking’ establishes herself as bisexual, seemingly regardless of sexuality, and the predatory gang in L. S. Johnson’s compelling ‘We Are Sirens’ are forced to confront their own prejudices about the nature of gender. And even in those stories which are more traditional, where the Sirens charm and lure men (and only men) to their doom, there seems an underlying theme of well-deserved revenge, of the Sirens striking back against the men who would (or have) oppress and abuse human women. That’s not to say all of the stories are deep commentaries on misogyny and gender. Pat Flewwelling’s ‘Moth to an Old Flame’ just needed Christopher Eccleston chasing a gasmask-wearing child to make a decent episode of Doctor Who. This is by no means a bad thing, it just felt a little bit less socially conscious than many of the other tales in the anthology. And while I can see what Amanda Kespohl was going for in ‘The Fisherman and the Golem,’ the story read a bit to me like one of those old 1960s fantasy pulp tales that we now shred critically for its portrayal of inherent cultural misogyny. Again, not a bad story in the slightest, but some of the implications of its world made me a trifle uncomfortable. But honestly, I can’t call any of the stories in this collection ‘bad.’ Even the weakest of them was well-written, fun to read, and contained some intriguing ideas. Sirens is the fourth in Parrish’s Magical Menagerie series (the others being Fae, Corvidae, Scarecrows, and the upcoming Equus), and if the others are as strong as this one, then I for one will be collecting them all.